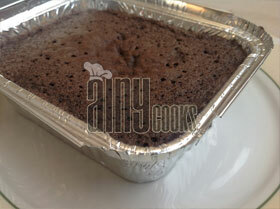 I’ve made this cake in deep pan, but you can easily make this in pressure cooker (remove rubber from the lid first). You will get a perfect cake on stove top….:). 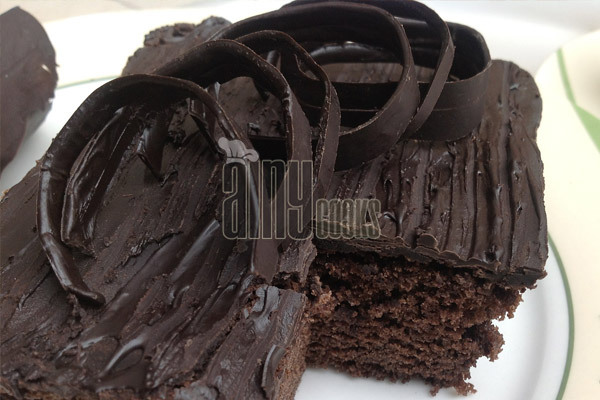 This recipe is one of my favorite, its not only tasty but also easy to make. Beat eggs ,sugar and then add dry ingredients in it . 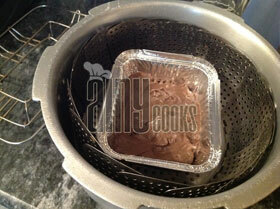 Add oil,butter milk and hot water.Pour in aluminum box (as i did) or can pour in baking pan also. If you don’t have butter milk at home then take warm milk 1 cup and add 1tsp of lemon juice ,set aside for few 5-10 minutes. Bake it for 25 minute at 180c. If baking in a pot then place wire rack in pot and place pan on rack ,cove with lid and bake till perfectly done.It can take 1/2 hour to 45 minutes to bake. 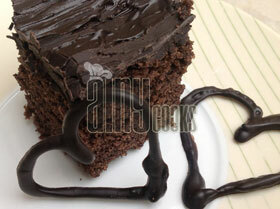 Melt chocolate and spread on cake or make frosting. 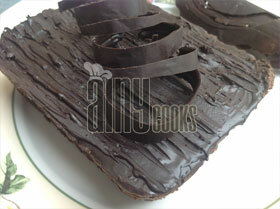 Add 2 tbsp butter ,2 tbsp cocoa ,1/4 cup milk and 1 cup icing sugar in a pan and cook until smooth and thick ,spread on cake. I am so excited to try this! 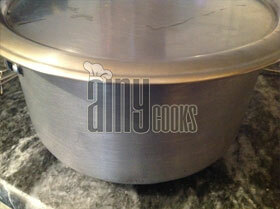 But am I understanding correctly that for the stove-top method you do not put any water in the pressure cooker? 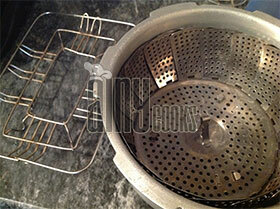 Yes no water at all ,just put a wire dish stand and place a pan on top and cover with lid of cooker.Do not put weight of cooker too.Bake for 25-30 minutes.